macOS 10.14 introduces automation sandboxing as part of a new push for security. This change impacts installers generated with install4j prior to 7.0.8, because they use AppleScript to perform a variety of tasks. The authorization dialogs from the new sandboxing mechanims are undesirable for an installer and once a permission is denied it is difficult to reauthorize it. To solve this problem, nearly all affected operations have been re-implemented as native code in install4j 7.0.8. 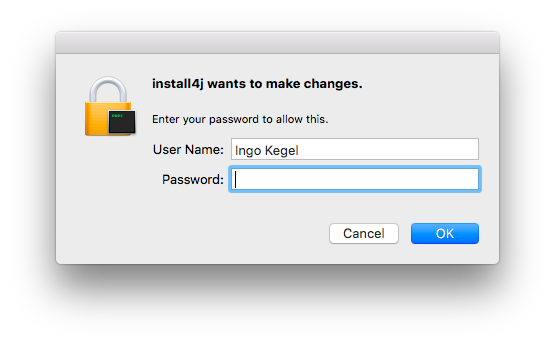 As part of this work we have fixed a long-standing issue on macOS: When requesting elevated privileges, the password dialog notified the user that “install4j” wants to make changes. Moreover, support for fractional HiDPI is coming for Windows. If you are using a 4K monitor, you will be happy to hear that the blurry upscaled UI will be a thing of the past. This is not only true for dark mode: We will also be using the light look and feel from IntelliJ IDEA together with the JetBrains Runtime in order to provide the best experience for high screen resolutions. The light mode will be the new default look and feel for JProfiler. In nearly all cases, migrating to install4j 7 just means opening and saving your project with the install4j 7 IDE. Nevertheless, there are some considerations with respect to backwards compatibility and a couple of behavioral changes. The minimum supported Java version is now Java 7 up from Java 6 for install4j 6. 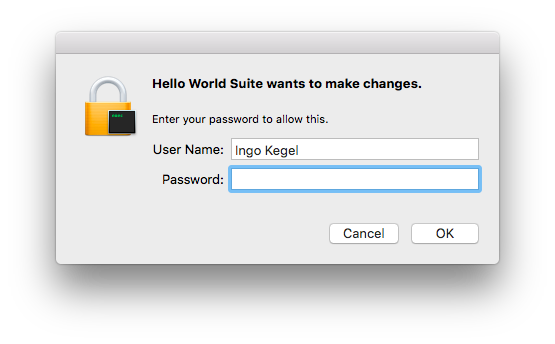 This also means that the old Java 6 Apple JRE is no longer available as a separate type on the Bundled “JRE” step of the macOS media wizard. The launcher runtime still supports Java 6 and you can set the compiler variable sys.ext.forceMinJavaVersion to true in order to allow “1.6” as a minimum version. Note that no classes in the API can be called from Java 6. In the “Key validation expression” script property of text components, the “keyCode” parameter has been removed. It was always 0 before and did not serve a useful purpose. If you develop your own screens with the API, the methods isShowIndex, hasTitlePanel, hasDefaultInsets and hasDefaultButtons have been removed from the interface com.install4j.api.screens.Screen and so your existing implementation of these methods will no longer be called by install4j. This functionality is now covered by styles which are much more flexible than the previous limited styling capabilities. In the API, methods with Object arguments for variable parameter lists have been converted to varargs. This should not cause source or binary incompatibilities but may show warnings in your code if you call such methods. The “Create a quick launch icon” action has been removed with no replacement. The last OS where it had any effect was Windows Vista. If you have not set a maximum Java version, and do not use a bundled JRE, any installed Java 9 JRE will be used. 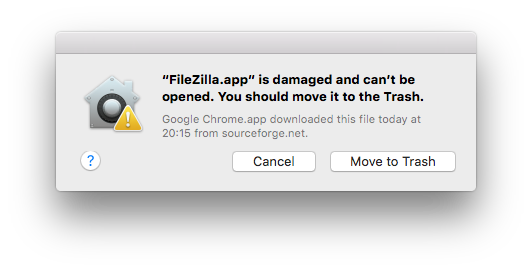 Java 9 has backward compatibility issues that may prevent your application from working unless you explicitly support it. Consider limiting the maximum Java version to “1.8” in that case. If the “Request privileges” action fails, an installation directory in the user home directory is set. To restore the old behavior of keeping the default installation directory deselect the “Fall back to user specific installation directory” property on the “Request privileges” action. 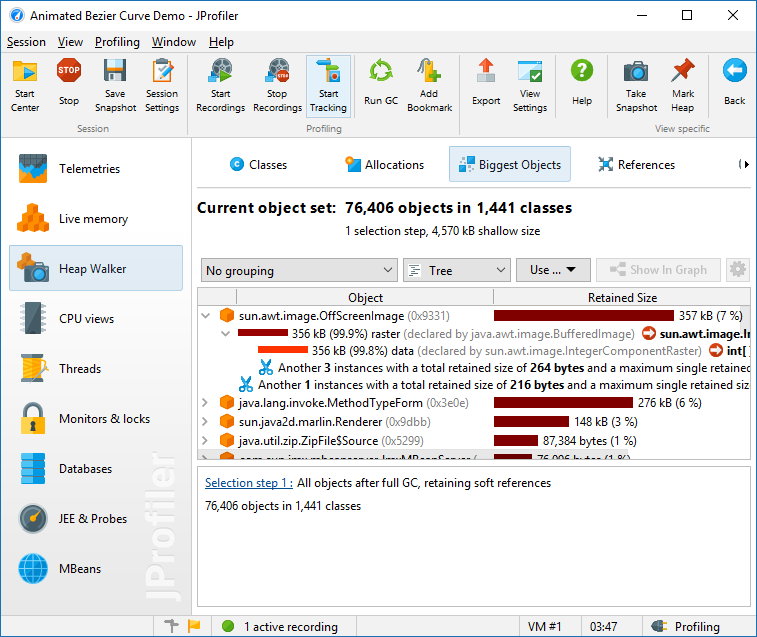 This screencast explains a basic strategy for solving memory leaks with JProfiler. There is an older version of this screencast from 2009 that is not accurate for the heap walker anymore but that shows other useful features in JProfiler. Complexity analysis in JProfiler is a tool for experimentally determining the Big-O behavior of algorithms based on the execution times of single selected methods. A bubble chart with curve fits of common complexities visualizes the results of the analysis. This screen cast shows how to attach to a remote JVM with zero configuration on the remote side. The only requirement is an SSH connection to the remote machine. 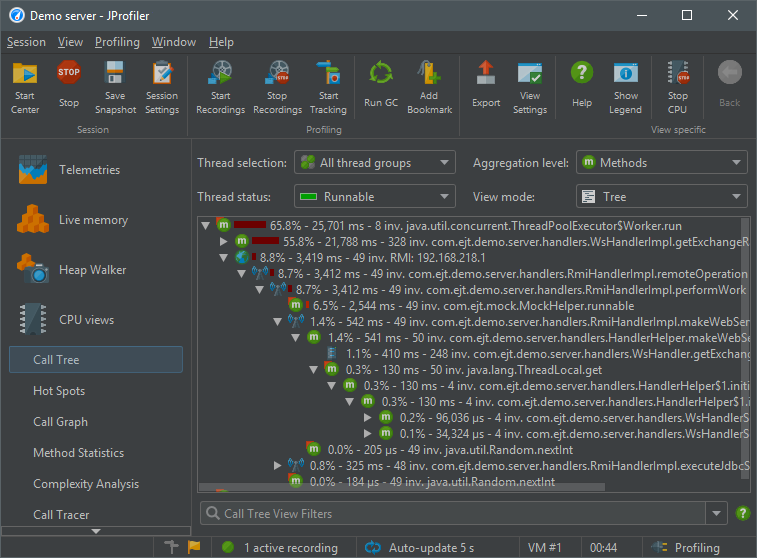 Remote JVMs are listed in the JProfiler UI and a JVM can be selected for profiling. If you’re thinking about comparing different deployment solutions for your Java application, maybe his article can provide some shortcuts. This screen cast shows how the “Set root” action is used to analyze a specific part of your code. The “Set root” action in the call tree view is used to select the call stack of interest. The hot spot view and the call graph then only show data for the selected part of the call tree.